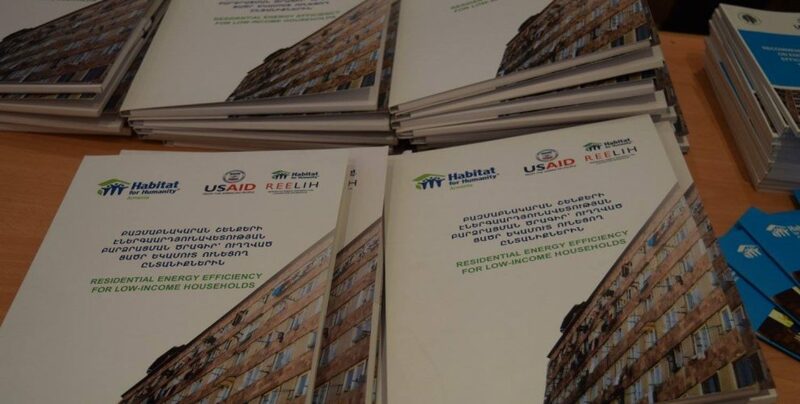 Yerevan, 21 March 2017: As a result of the “Residential Energy Efficiency for Low-income Households” (REELIH) project implemented by Habitat for Humanity Armenia Foundation energy efficient interventions have been carried out in 10 residential buildings in Yerevan. The closing conference of the project took place on 21 March. 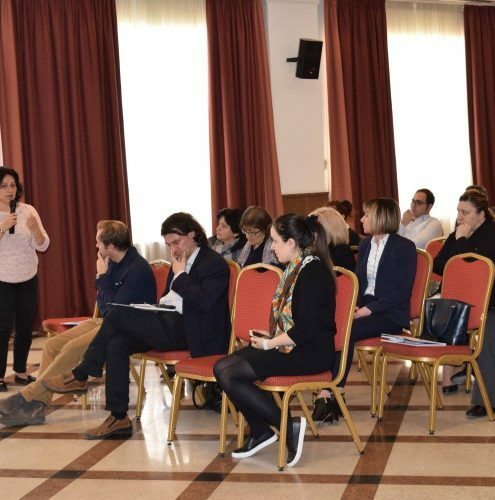 The objective of the conference was to bring together key stakeholders such as financial institutions, local authorities, homeowners’ associations and field specialists to jointly discuss the outcomes of REELIH Project. During the event the experience obtained within the project was presented, and possible solutions for encountered problems and challenges were discussed. “Since 2011 Habitat Armenia has been implementing projects aimed at maintenance of common spaces of residential buildings. We are aware of all of the issues related to maintenance, management and legislative framework of residential buildings. We have renovated 10 residential buildings, but this is only part of the work. 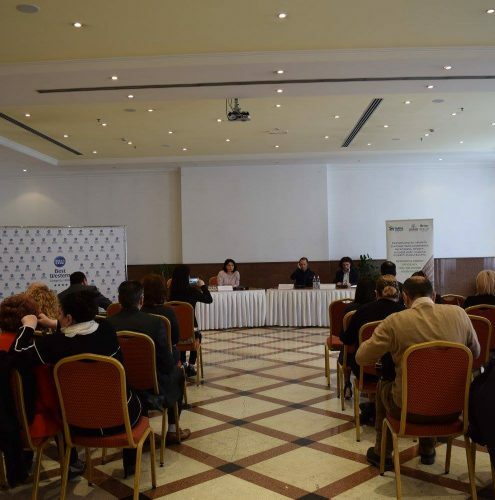 The other part included work with homeowners’ associations to enhance their capacities,” said Luiza Vardanyan, Executive Director of Habitat for Humanity Armenia Foundation. Implemented since 2013 the REELIH Project aimed at development of financial models which will enable the homeowners’ associations, residents, municipalities and financial institutions to jointly implement insulation and renovation interventions for common use spaces of residential buildings. An objective of the project has been to reduce the impact of growing energy prices on low-income households. The first stage of the project involved development of a market model, conducting a study and analysis among residents and establishment of contacts with main beneficiaries and partner organizations. During the second stage of the project energy efficient (EE) interventions have been implemented in the buildings, and the efficiency of the developed financial model has been tested. Within this project Habitat Armenia collaborated with Inecobank CJSC and Yerevan Municipality. 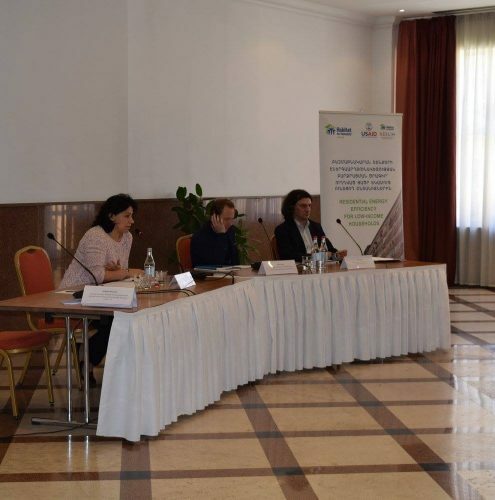 A memorandum was signed between Habitat Armenia and Yerevan Municipality according to which the municipality had agreed to provide subsidies to the homeowners’ associations involved in REELIH Project to implement energy efficient interventions in the buildings. Based on the memorandum signed with Inecobank CJSC, the bank had agreed to provide loans to the homeowners’ associations involved in the Project. The renovations of residential building have been implemented with participation of homeowners’ associations, residents and bank. The homeowners’ associations received loans and subsidies to carry out energy efficient upgrades. As a result of this the comfort level of residents has been improved considerably. The REELIH Project enabled developing viable financial mechanisms for energy efficient renovations in multi-unit residential buildings. Mr. Besim Nebiu, REELIH Project Manager of Europe, Middle East and Africa Area Office of Habitat for Humanity International mentioned that previously energy efficiency was not paid enough attention to. “Now the energy prices have increased, and the utilization and maintenance manner which existed before is no more there. We have to come to the point of reducing the energy costs of households”, added Mr. Nebiu. According to Project Manager Karen Asatryan, all of the project objectives have been attained. 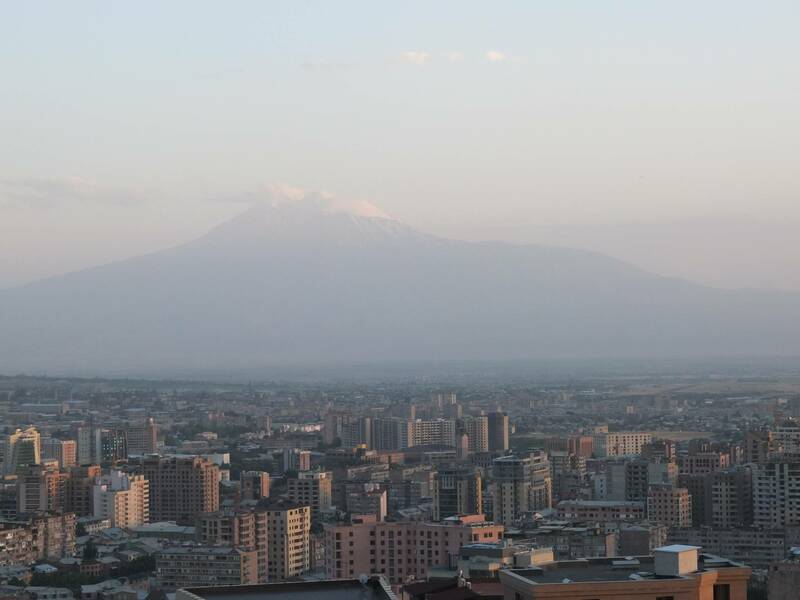 For the first time in Armenia it became possible for homeowners’ associations to attract loans to implement renovation interventions in residential buildings based only on own capacities. 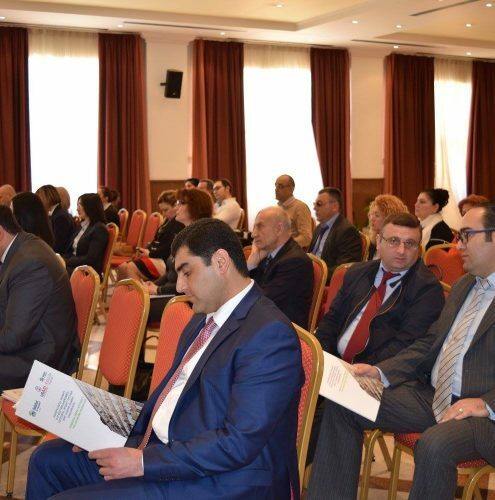 The energy efficient interventions implemented in 10 buildings involved in the project demonstrate the viability of the chosen financial mechanism and establish firm grounds for implementation of similar activities in Armenia. 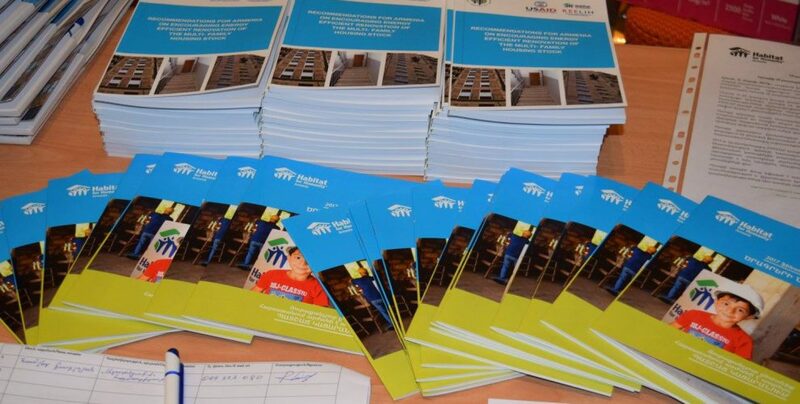 The project has been implemented with funding of USAID and co-funding of Habitat for Humanity Armenia Foundation. Since 2000, through the work of Habitat for Humanity Armenia, more than 5,400 low-income families have found new hope in the form of affordable housing. More recently Habitat for Humanity Armenia has increased their stake in affordable housing by helping to institutionalize energy efficiency in the country. By partnering with financial institutions, local municipalities, as well as international organizations, home owner associations and tenants of residential buildings, Habitat Armenia initiates substantial sustainable energy projects in residential sector.